Probably the most common way international projects develop their communications plans is through the simple trial and error of starting a project with an international, virtual team component with no different communications planning than would occur in a single country, co located team methodology. Your international partners, those on the other and of the telephone line, email, video conference screen or at the other side of your desk if you are in the same location as they are, will generally want the same overall outcome for your project as you do; they may express themselves differently, outwardly demonstrate different levels of emotion and commitment to you but those differences are more likely cultural than motivational. So, when you find yourself living in the same country as them, working in the same office and traveling to and from work together, it is definitely a good approach to assume the best of them, that they are there to do the same job as you and you all have the best interests of your project and company at heart. You may not be the only one trying to learn how to work with someone else. 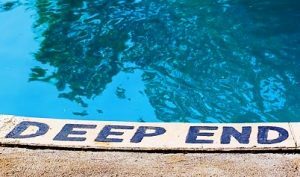 If your organisation has dropped you in at the deep end, to work out things by yourself, there is every chance the rest of the project is in the same situation, all trying to learn the process at the same time. So, patience with each other is a great place to start, take the time to learn how each other work, take the time to communicate clearly and be patient when things take longer than you are used to, life moves at a different pace in different places. If you assume the international members of your team, whether they are working physically along side you or remotely, will have different cultural and procedural values and approaches. you will be much less surprised when those differences become apparent. Simply assuming that because they are working on the same project as you, and may have a similar technical background, to you does not mean your international work partners will behave and react in the same way you do. If you assume that people are different you will rarely be surprised and will find that life will flow much more comfortably. The more you understand about your international partner’s country’s, history, language, values systems and culture the better you will understand the individual and the way those individuals behave and react in situations. However, as a word of caution, don’t simply assume that everyone from a particular culture will be the same, we are all individuals and while we share many common features with our countrymen, we all have many differences. It is a good idea to spend some time before a deployment learning about the history of the country you are going to, if possible try to understand the culture and basic beliefs from a high, holistic level and maybe even try to become familiar with the language, but keep in mind that what you read and what you watch will come wit its own in built biases and perspectives, so judge for yourself once you arrive. I would recommend you develop a mutually agreed mechanism for clarifying misunderstandings, in some cultures it is acceptable or even expected to question anything you are unclear about in an open and direct manner, in others, this approach will cause great concern and offense to others, as such, develop a clear agreement between the different cultural partners as to what is acceptable and what is not, and if a meeting is being held where things may appear to be unclear to someone try to ensure that everyone has the full story as soon as possible, after all, it is better to clarify early than rework later. All too often I see people so engrossed in the issues they are trying to manage they miss the fact that they are working on something that may have been their life’s dream to be involved in, you only get to one go at life and some of the opportunities available in international cooperation may only come along once in some careers, missing the opportunity to enjoy some of the experience of meeting with, and getting to really know and understand, your international partners is a rare privilege afforded to only a few, try to enjoy at least some of it along the way. It is often easy to forget, but the person on the other end of the telephone will find you as alien as you find them, they will be experiencing many of the same issues and asking the same questions as they get to understand you as you are getting to know how to work with them, if you get the opportunity, try to share some of the pain and experiences, it will help both of you learn. There are many other tips to developing your understanding of your partners when you are thrown in at the deep end, trying to get access to specialised training being just one of them, though this is something I will discuss in a later post, however, if you have any additional tips, please feel free to leave them as comments to this post. In the mean time, try to enjoy all of the opportunities you get. Have you ever been sent on an international project with little to no support from your employer, do you have experiences you would like to share? If so, we would love to hear from you.